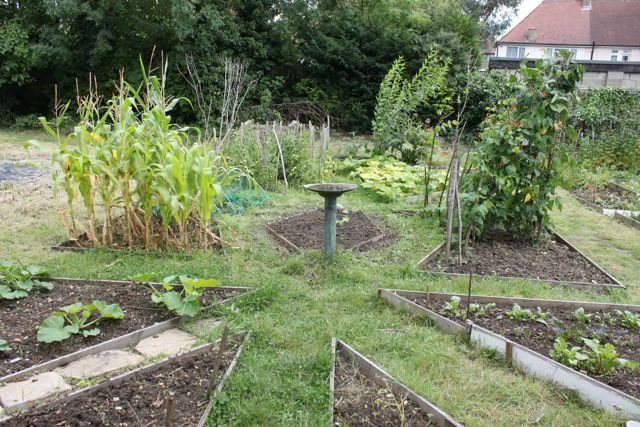 Ealing Transition Community Garden is based at Village Park Allotments, which is accessed from Rose Gardens, off Popes Lane, W5 4JU. Gardeners of all ages and abilities are welcome at any time. In the summer, the group meets every weekend and on Wednesday evenings. In the winter the group meets every second weekend. For times and dates, visit our calendar. Also, look out for our regular Open Days. If you’d like to join our email list or if you’d like to donate allotment tools, seedling etc… please contact the community garden team on ealingcommunitygarden@gmail.com. Be sure to read our blog to find out the latest news, and see our Flickr for photos of what we’ve been up to!